What are Your Fitness Goals? Fitness, Performance or Competition? 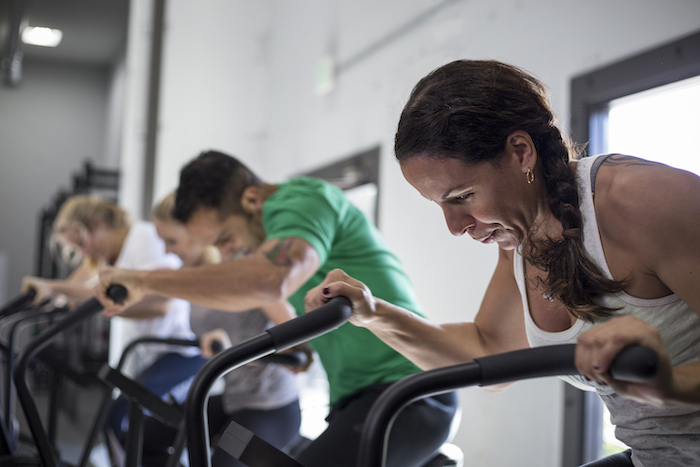 One thing that sets Invictus apart from other CrossFit gyms and online training programs, is that we recognize that everyone has different fitness goals, abilities and needs. Instead of expecting you to do the same training program as someone with different goals or ability levels, we offer a variety of training programs to match your exact goals – so you can pick the one that works the best for you. You may want to focus on quality of movement and strength gains while your neighbor might want to fine-tune their higher skill gymnastics movements. With either (or any) goal, you can both train under the Invictus methodology and get a great workout that’s perfect for YOU! This is where our 3 [FREE] flagship goal-based programs come into play, and is a great place to start and get a feel for how Invictus programming may be different [and more effective] than what you’re used to. These are true functional fitness programs with methodologies and progressions that have been proven over the years in fundamental fitness and strength, and conditioning programs. If you are new to fitness and want to be lean, active and healthy for the rest of your life – start with the Free Fitness Program. This program is comprised of simple movements that won’t require as much technical proficiency as some of our other programs, so you can feel safe doing the workouts without a lot of knowledge or experience. You would also follow this program if you workout in a home gym or another facility that doesn’t give you access to more than the basics like dumbbells and kettlebells, which are generally prescribed instead of barbells. But don’t be fooled, if you are a seasoned athlete, this program can also work well for you and is the perfect way to stay in shape without risk of injury from kipping gymnastics movements or one rep maxes (1RMs). If you push your limits with the weights and reps prescribed, you are actually doing much more in each session as far as number of exercises, reps and longer time under tension – your breathing and heart rate will be elevated for the entire hour. 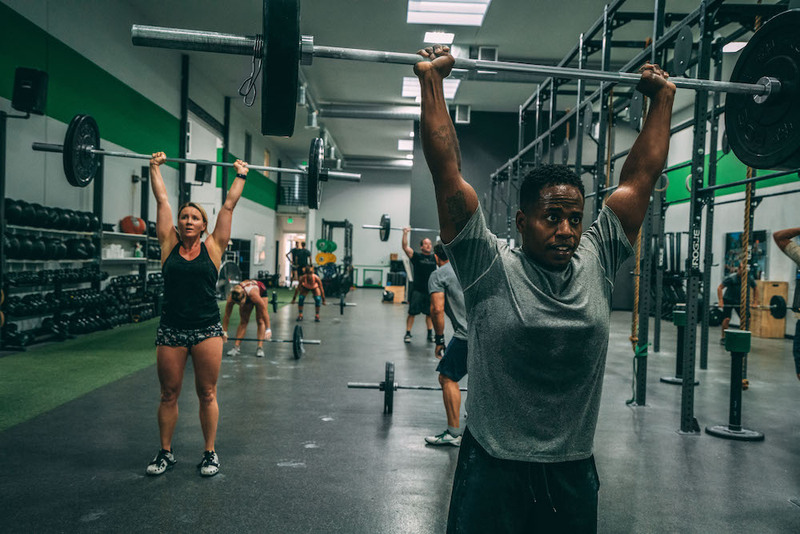 If you are experienced with functional fitness, or CrossFit, and love to train with a barbell, but aren’t interested in competing…our Free Performance Program is perfect for you. This is also a great program to progress to if you have done Fitness for a long time and are looking for more of a challenge as far as technical movements, like Olympic lifting, gymnastics, and skills like double-unders. This program is a true general physical preparation (“GPP”) program and touches on all energy systems and strength qualities. You will work mostly with a barbell (instead of dumbbells and kettlebells), there will be both strict and kipping gymnastics movements, as well as opportunities to test your 1RM on most lifts at the beginning and end of specifically focused training cycles. And for those of you who want to compete in local competitions at any level, the Free Competition Program is what you should work toward. This program is designed to push you in all aspects of the ‘Sport of Fitness,’ so you improve for your next competition. This program will prepare you for the demands that the sport of CrossFit, versus general fitness and preparedness like the Fitness and Performance programs. Like any sport, CrossFit demands high levels of skill and coordination as well as strength, speed, power, and endurance. 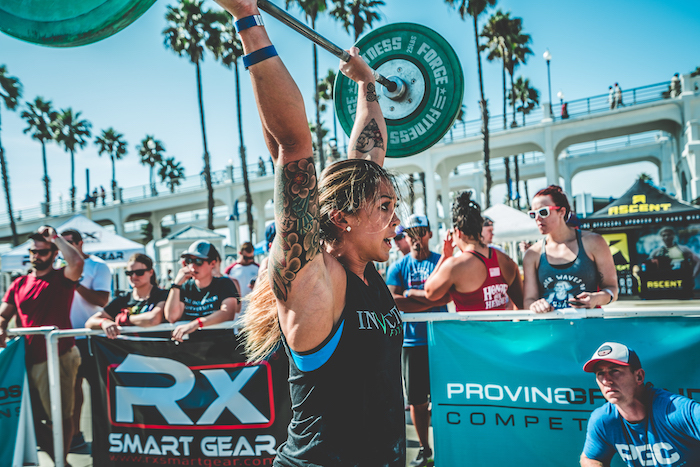 If you’ve been doing Performance for a long time, you may also choose to move on to the Competition Program- solely because you enjoy the challenge and want to improve in more high-skill movements like Olympic lifting, which you will do daily. So what do you need to do to move to a different Invictus program, whether it be from Fitness to Performance or from Performance to Competition and what can you expect once you get there? When an athlete is considering new fitness goals and wants to continue to explore their full potential, trying out the proper program is typically our recommendation. However, making these jumps usually means a big change in your training, so here is some more insight into the differences and things you should consider. There are no “set weights” or amount of weight that people need to have on their lifts to join any of the three programs. We recognize that athletes range in strengths and weaknesses and, in order to improve, they need to challenge themselves. In the Fitness program, you are given a rep range on the longer end for your lifts, and usually at a tempo (slower pace). It’s up to you to determine the weight to use that will give you the best and safest workout. In the Performance and Competition programs, it is helpful if you know your one rep max for each lift because you will typically be prescribed to use a certain percentage of your max each session. And due to the higher volume of kipping gymnastics work in the Competition program from the Performance program (Fitness typically doesn’t include kipping movements), we recommend that athletes have at least 5-7 strict pull-ups as a baseline to avoid injury. We’ve developed several supplemental programs that will help you build your baseline strength in both gymnastics and with the barbell. Consider one of these programs to help your transition into Performance or Competition. The volume and loading of the Competition program is much higher and heavier than our other free programs. We recommend adjusting the volume when you first switch to the Competition program if you know your body won’t recover well from the accumulated volume over the course of the week. We also recommend adjusting the loading, when needed, in the conditioning workouts if the weights are close to your 1RM. A few months into the program and those weights will be very manageable but when first starting, you may need to adjust. Check out this article to read about suggestions for adjusting weight in metcons. The Competition program has more elements to it than the Fitness and Performance programs. The Competition program is generally laid out with one to two strength progressions, conditioning and then accessory work – so there could be parts A, B, C and D where Fitness and Performance typically only have parts A and B. Athletes need to plan for a comprehensive warm-up so as to prep their body for the demands of the program. We recommend that you have 90 minutes available for training in order to follow the Competition program where Fitness and Performance can be completed in 60 minutes or less each session. No matter which program you choose, the number one thing you should consider is your goal(s) and where you currently are toward reaching them. Also, realize that since your goals and lifestyle may change over time so the program you follow should also change along with them. Try not to look at Fitness, Performance, and Competition as a progression, rather view them as addressing certain needs of an individual. You can move between any of the programs as long as they will help get you to where you want to be whether that’s competing in the CrossFit Open or giving your kids a piggyback ride. Still Looking for an Online Program That’s More Specific to Your Goals? We’ve developed several online training programs geared towards those you who have specific competition goals, or want to spend time improving gymnastics, endurance, weightlifting, etc. Check out our Sample Programming Guide, where you’ll see a training day from each of our online programs so that you can pick the exact training program to fit your goals. Clean Energy, Endurance, and Recovery Drinks for Warriors. Kill Cliff was founded by a former Navy SEAL and our mission is to be the largest contributor to the Navy SEAL Foundation. To date we have donated over $600,000!